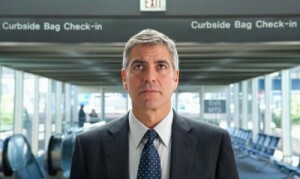 George Clooney is nominated for best actor in a lead role, for “Up in the Air,” at the 2010 Academy Awards. This is Clooney’s sixth Oscar nomination. He has been nominated twice for best supporting actor, and won once (Syriana, 2005). He has also been nominated once for each best writing and original screenplay, and once for best achievement in directing. This is Clooney’s first nomination for best actor in a supporting role. In “Up in the Air,” George Clooney plays Ryan Bingham – a corporate downsizing expert whose cherished life on the road is threatened just as he is on the cusp of reaching ten million frequent flyer miles and just after he’s met the frequent-traveler woman of his dreams. 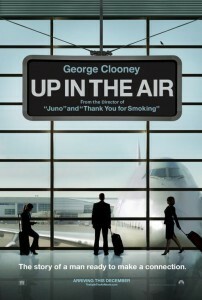 Read our review for "Up in the Air"
Do you think that George Clooney will win the Oscar for Best Actor? Who do you think will win? Leave a comment below!